The GLYTONE Promise is to provide Precision, Purity and Expertise in Aesthetic Dermatology. GLYTONE is the only skincare line that provides a customized step approach formulated with the highest free acid values available. GLYTONE has complete skincare regimens for all skin types and age. Whether you want to take preventive actions against premature skin aging or are looking for a smoother overall complexion, GLYTONE has customized treatment concepts to help you get the answers you’re looking for. 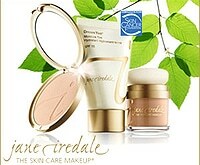 Copyright © 2004 – 2010 by Iredale Mineral Cosmetics, Ltd. All rights reserved. Used by permission. There’s been a growing interest in this product ever since it was introduced. And it’s no wonder. LATISSE® is the first and only FDA-approved prescription treatment for inadequate or not enough eyelashes, growing them longer, fuller and darker. See LATISSE® advertising for more information. Discover the Power of PSP® for Timeless Beauty Today! All NEOCUTIS products are formulated with a blend of science and Swiss technology to enhance skin’s natural beauty. Each product helps diminish the visible signs of skin aging and soothes stressed irritated skin. Intense Line Smoothing Eye Cream with PSP® and Age Minimizing Actives Energizes, Revitalizes and Rejuvenates the Delicate Eye Area. Formulated with 30% more PSP®, the most complete protein blend of Human Growth Factors, Cytokines and Interleukins available to smooth and soften the appearance of fine lines and wrinkles. Apply AM/PM or as directed by physician for visibly younger looking eyes! Clinically effective PSP® combined with Amino Acids and a Bio-mimetic Peptide to help safeguard skin from environmental aggression. Skin plumping Hyaluronic Acid and line softening technology work synergistically to help visibly transform the appearance of skin. The first and original skin cream formulated with PSP®, the most complete protein blend of Human Growth Factors, Cytokines and Interleukins available to help improve appearance of aged skin and soothe skin. Improves skin texture and tone for renewed radiance. The most complete anti-aging day cream with PSP®, anti-oxidants, hyaluronic acid and UVA/UVB protection SPF 30+ to help improve look of aged skin, protect and hydrate skin. Formulated with PSP®, a complete protein blend of Human Growth Factors, Cytokines and Interleukins to help improve signs of aged skin and soothe skin. Potent anti-oxidant blend of polyphenol rich green tea extract, stabilized vitamins C and E plus melanin act synergistically to help fight against daily environmental assaults. JOURNÉE is ideal for all skin types. 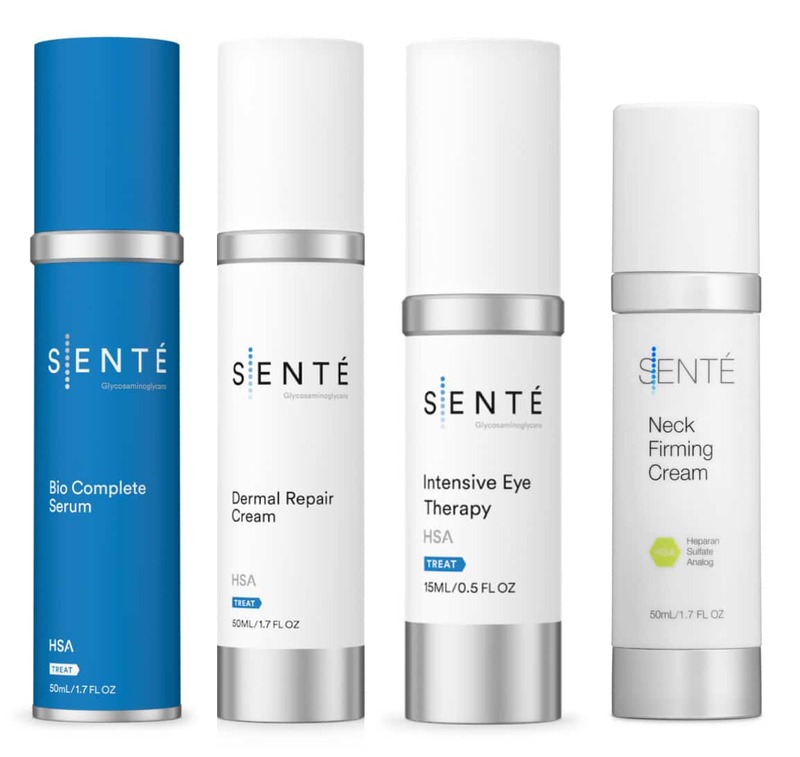 Founded by biotech entrepreneurs and scientists, SENTÉ is a leading aesthetic company pioneering glycosaminoglycans (GAGs) science in skincare. SENTÉ combines grassroots in biotechnology with pharmaceutical rigor in the development of skincare formulations. We collaborate with leading academics, scientists and physicians for breakthrough anti-aging products. * Restrictions apply. Must purchase two or more products to receive discounts.